A picturesque golf course setting for weddings and events of all kinds. 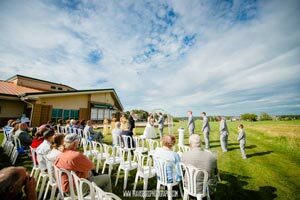 Prairie Links Event Center is a picturesque setting for weddings and events in Waverly, Iowa. A golf course locale equipped for large parties and events. What to expect when you book your wedding at Prairie Links Event Center. 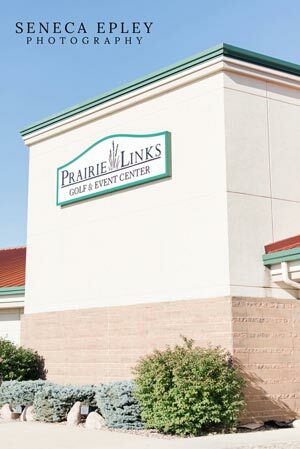 What does it cost to book an event at Prairie Links Event Center? November 1st – March 31st: Friday – $2,500 / Saturday – $3,500 / Sunday-Thursday – $1,000 April 1st – October 31st: Friday – $3,500 / Saturday – $4,500 / Sunday-Thursday – $1,500 Outdoor Receptions/Poolside Cocktail Hour: $6,000 (Ceremony Included) Outdoor Ceremony: $500 (Free with Outdoor Reception) Poolside Cocktail Hour: $500 (Free with Outdoor Reception) Outdoor Dance: $500 (Free with Outdoor Reception) Reserve Space the Day before Rental: $2000 Conference/Cafe Room: Monday-Thurdsay – $500 Conference/Cafe Room with Prairie Links Catering: Monday-Thurdsay – $200 Please note that holiday pricing is subject to change. For any questions email our Events Manager, Morgan, at Morgan@PrairieLinksGolf.com. For Fridays and Saturdays we require a 50% deposit to book your event. You can view all availability and book online with our Booking & Availability Calendar. Please call or email us with questions. 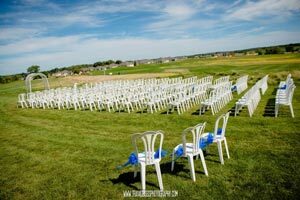 What’s included when I book my wedding at Prairie Links Event Center? Does the rental price include a wedding planner? The rental price does not include a wedding planner. You have the flexibility to work with any wedding planner you elect to hire. Will the Prairie Links staff set-up the table and table arrangements? 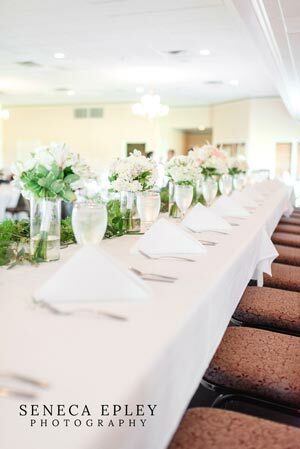 Prairie Links staff will arrange the tables and place the white linen if requested, but will not arrange place settings or table arrangements. What is the max seating capacity? If you need to stay inside we can handle events up to 350 people. With our new Outdoor Receptions we are able to accomodate events of any size. Can I setup a time to take a tour? Of course! You can schedule a walk-through at your convenience preferably Monday-Friday from 8AM-5PM. What's the cost of reserving the Event Center the night before my event for a rehearsal dinner or set? To rent the Event Center the night before your event is $2000. Is there a limit on the amount of alcohol I can buy? Can we have cocktail hour out on the patio? What would be included? Yes, we would love to host your cocktail hour. We are making many design changes to our patio just for this purpose. To make drinks more accessible, we will include a portable bar outside. Like and follow us to stay up-to-date on the latest news from Prairie Links Event Center. 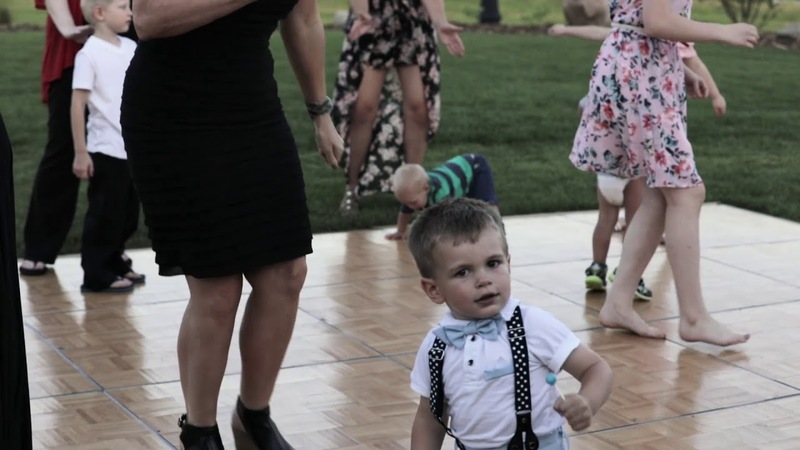 We would like to thank Morgan and the staff at Prairie Links for going above and beyond to make our daughters wedding reception a perfect evening! Every detail was taken care of to make it a stress free reception. Prairie Links is a beautiful place to hold any event with all the wonderful improvements that have been made and highly recommend it to anyone needing a venue for any event. They were wonderful to work with! The changes that have been made are wonderful. The vision for a better Prairie Links have been right on! We applaud you. Prairie Links is fabulous. Breathtaking views. Great food. Great venue over all. The staff at Prairie Links was so helpful. They were always available to answer any questions I had, down to the very minute details. They were friendly and even after the wedding, helped me with wrapping up the event. They were great! We highly recommend the following vendors for your next event at Prairie Links Event Center. Start planning your special event at Prairie Links Wedding & Event Center today.